Summer is an incredible time to be a sneakerhead. Suddenly all your weather worries evaporate, and on most days you can bring out your finest of footwear without fear of them getting too ruined from the elements. The season is usually marked by an increase in white sneaker wears; there’s something about a pristine pair shining underneath the summer sun that has been irresistible to trainer enthusiasts for decades now, and one of the most longstanding trends in footwear history is about ready to rise up again. 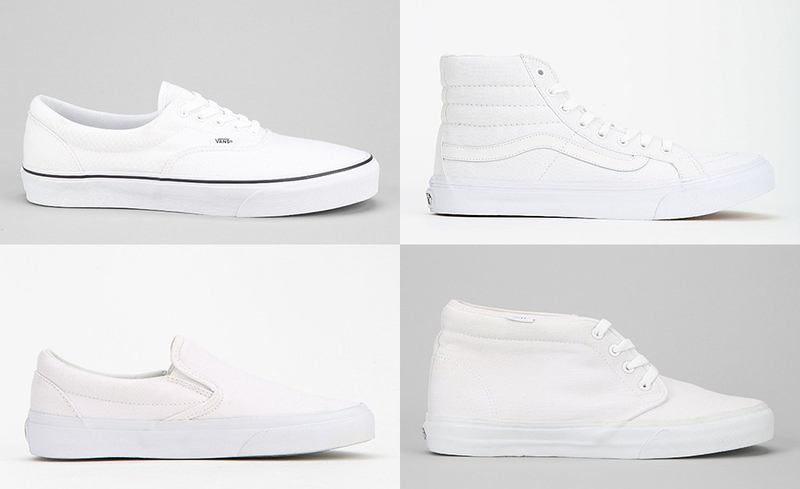 As the warmer days are rapidly approaching for a good portion of our readership, we thought it fitting to give you a heads up on white sneakers for the summer. We’ve got an assortment of brands and models – everything from the $40 Vans sneaker to the much-more-than-that adidas shoe by designer Rick Owens. You’ll never know what shoe new or old will tickle your fancy, so continue reading to check our guide, complete with links on where to find the cleanest of white summer shoes for 2014. 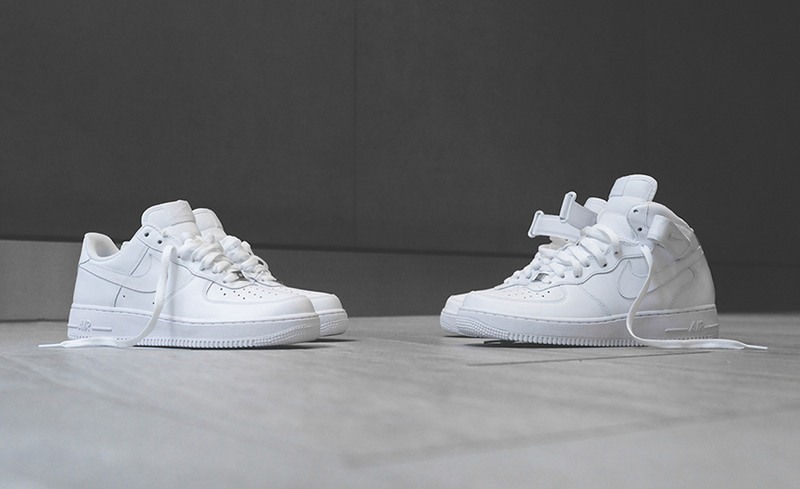 All white Air Force 1s are a staple. They may have more of a foothold in urban centers like NYC, but the shoe is a worldwide icon anyway you slice it. As of late, youngsters have been particularly enthused about the High and Mid pairs – both of which are available this summer along with the standard Low. Get yours today at spots like Kith. Our man Stan has been locked in the vaults for a couple of years, but adidas Originals has brought him back in a big way in recent months. Not quite filling the “all white” quota, these will more often arrive with a little bit of pop color for the back side. 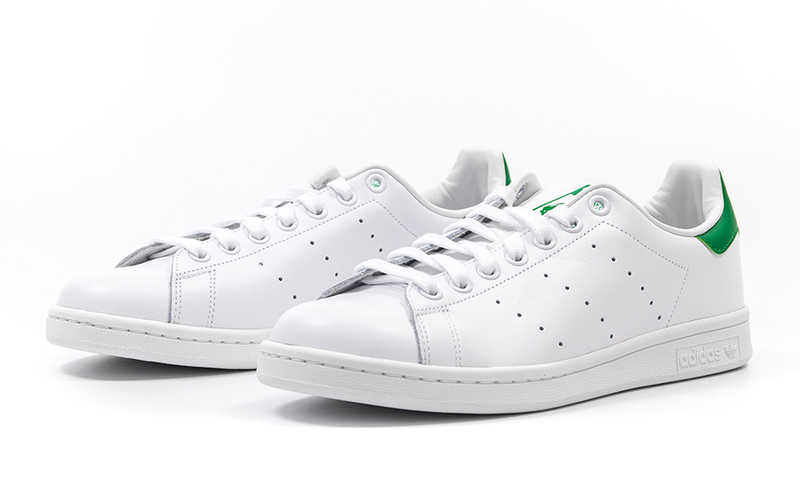 Pick up a pair of these impeccable tennis whites at Packer Shoes if you’re interested. 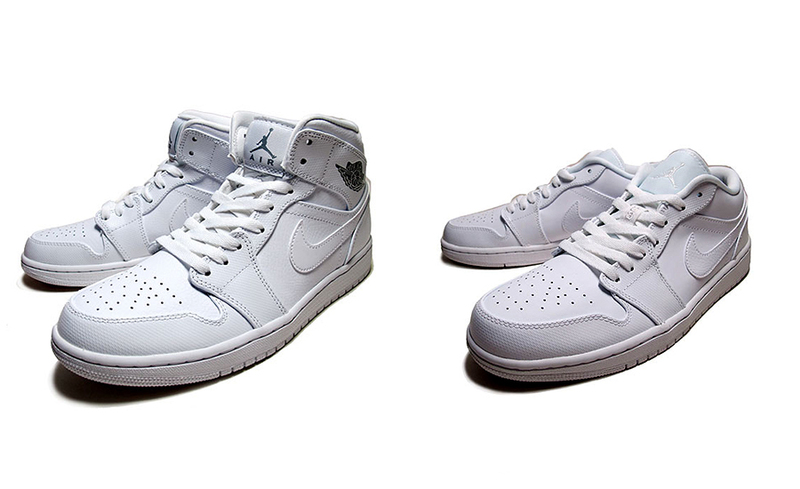 We know that some of you won’t wear an Air Jordan 1 these days unless there’s “Nike Air” on them, but the rest of us can appreciate the versatility of the Mid style from Jordan Brand. For a while now they’ve quietly kept this pair on shelves with the dove white touch (As well as the Low from time to time). eBay has them now, you know what to do. Definitely one of the tougher finds in this compilation. Tinker Hatfield’s beloved Nike Air Huarache silhouette continues to pop up at overseas spots in this immaculate “Pure Platinum” colorway – a first ever for the neoprene design. You could browse around at those sort of spots to see when they’ll be launching theirs or you could try your luck on eBay. 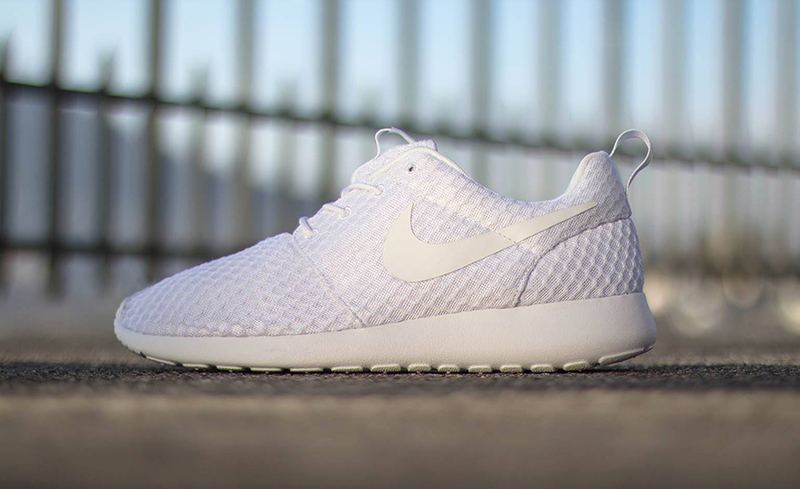 The Nike Roshe Run wins a lot of points in this category based on the strength of its overall summery design. You can throw a pair on sans-socks and let the cool breeze between your toes fight off the fiery weather. 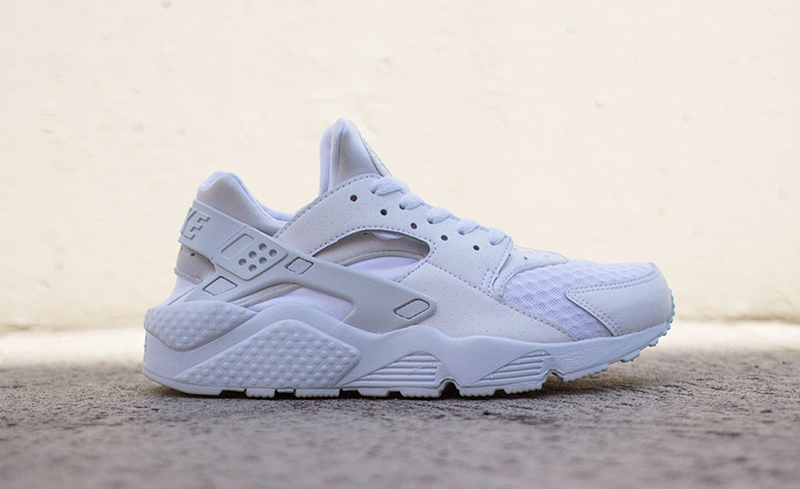 There is this all white colorway floating around, which has a bit in common with previous page’s Huarache, or there’s the NIKEiD route if you want to get personal. Should you choose the former, eBay is your best bet. Authentics, Eras, Slip-Ons – really any of the California brand’s slimmed down silhouettes will do the trick here. They’re often available with all sorts of wild prints attached (Hopefully you saw the Star Wars collection), but there’s still something to be said for these clean slate releases. No worries on availability here, as chain stores like Urban Outfitters always seem to have them around. You had to have had a pair of these in your collection at one point or another. 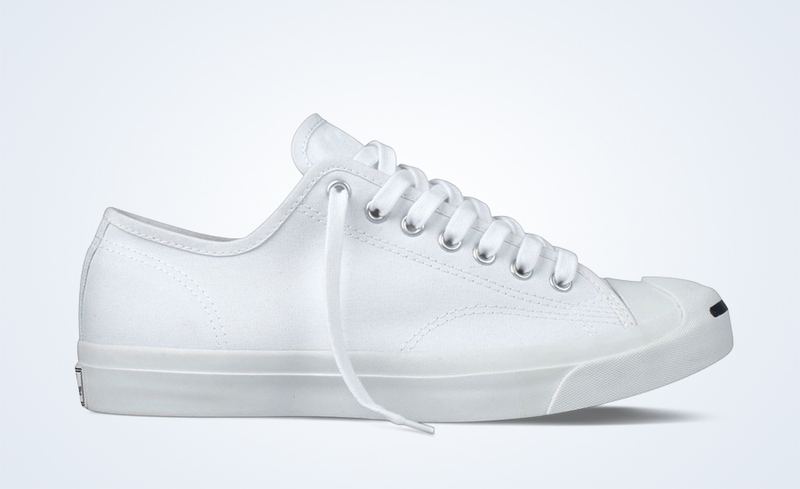 White Jack Purcells are the sort of shoe that you can pick up on the cheap side and beat to death without much worry. Plus they always get a little more character with that grungy look. Go high end with the paint chipping Margiela pairs or stick to the classics like these that are available at Converse now. We’d be remiss if we didn’t give a little bit of love to the independents in here. People are increasingly checking for Amsterdam-based lifestyle brand Filling Pieces, so they’ve earned a spot. 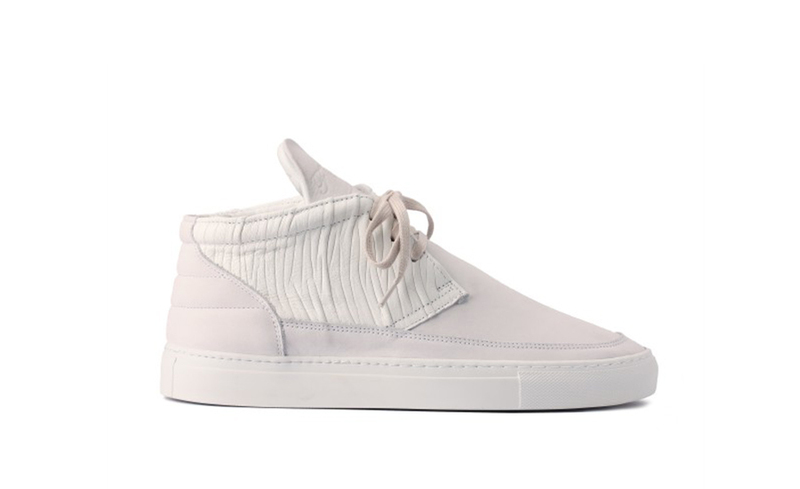 The brand has a host of all white models from season to season, with their wrinkled leather Desert Boot being one of them that’s up for grabs now. They’re not cheap, but we’re talking about a hand-made sneaker here with real deal premium materials. Get them straight from the source. Solidly colored Air Maxes are more of a Euro thing, but we’re sure you can appreciate them nonetheless. 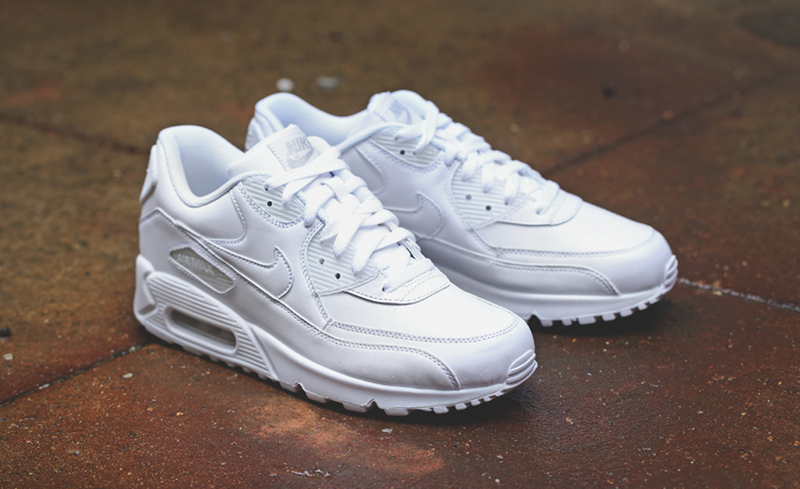 The 90s are available more often than most as far as the all white look. If you grabbed them a couple years back then you got that shiny metallic dubrae, but the latest editions toss that off in order to keep things as clean as possible. 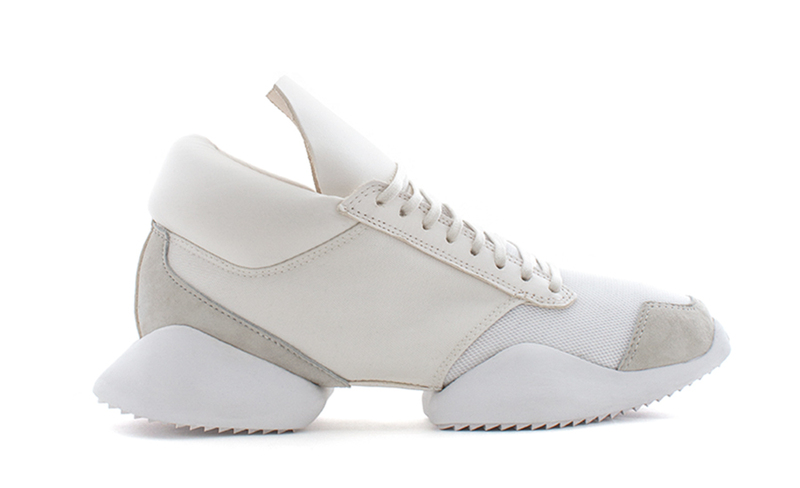 Head to Awol if this is the summer shoe for you. adidas runners are on the rise – Kanye West seems to have people doing the knowledge with every subsequent wear, and the ZX Flux has served as a history lesson of sorts for plenty of us. 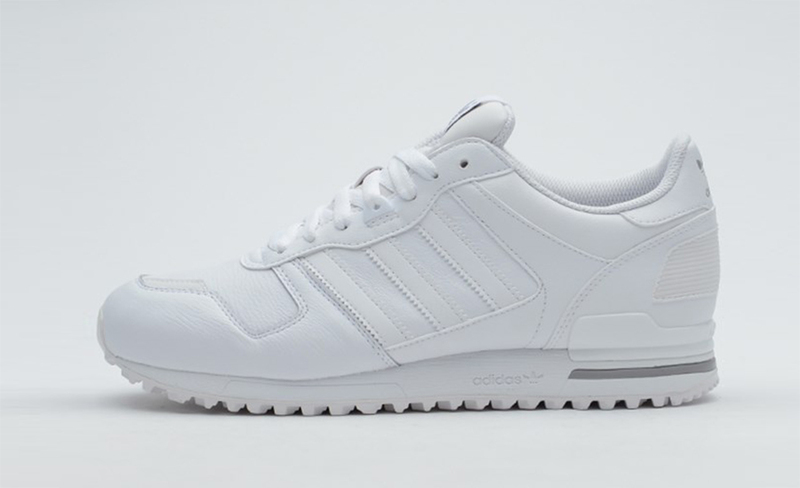 Looking almost like an outtake from the “Tabula Rasa” set of of adidas Consortium pairs from 2011 is this adidas ZX 700 in, you guessed it, white leather. You can cop at Caliroots. While we’re on the topic of adidas, it only makes sense to give a nod to the top end of their price line. The alien looking Woven Runner from their Rick Owens team up is indeed available in a tonal white look. You can’t kick them around in good conscience given that they’ll run you $700, but it’s definitely a good fit for those looking to ride the luxury shoe wave – which VFILES can help you out with. 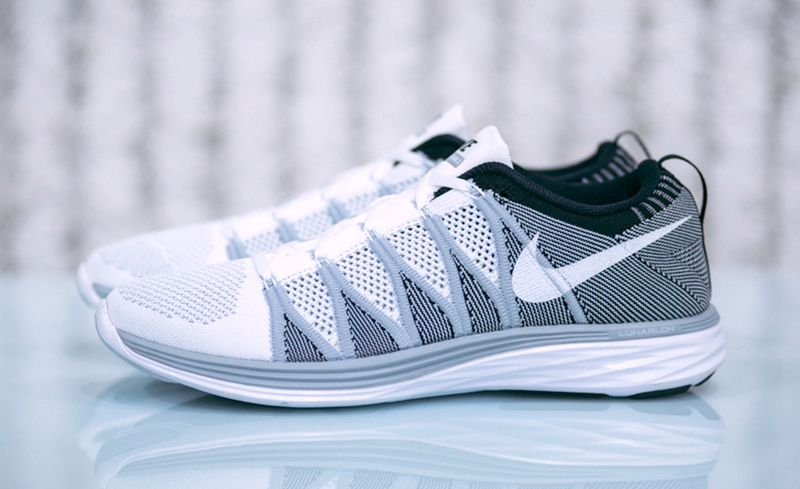 There hasn’t yet been an all-white pair of Flyknits. With that being said, there have been plenty that run with the white weave for their base, like this recent Nike Flyknit Lunar2 pair. If you can look past the wolf grey and black sections then head over to Finishline to find your size. The fictional football club gets down with Nike’s realest soccer shoe yet. 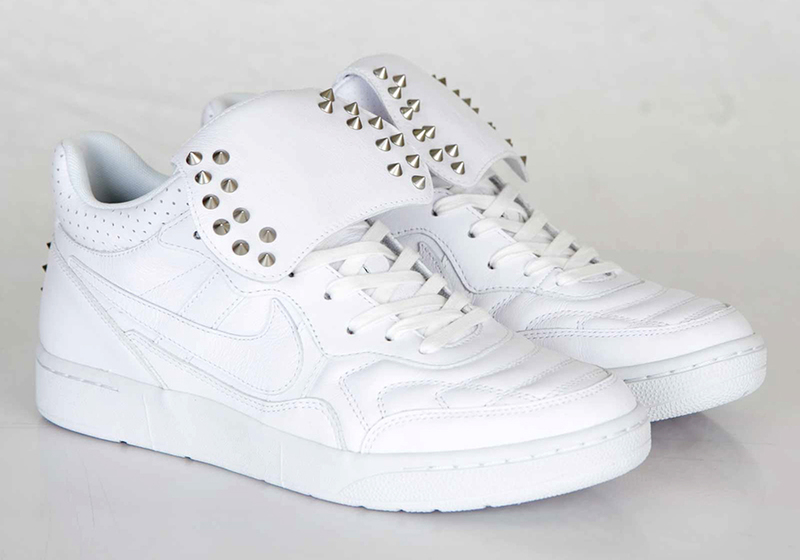 There are three colorways as part of this collab, but this all-white leather joint sticks out the most, doesn’t it? Expect these on June 12th at select retailers worldwide. The classic 996 silhouette gets a massive upgrade by keeping it incredible simple. 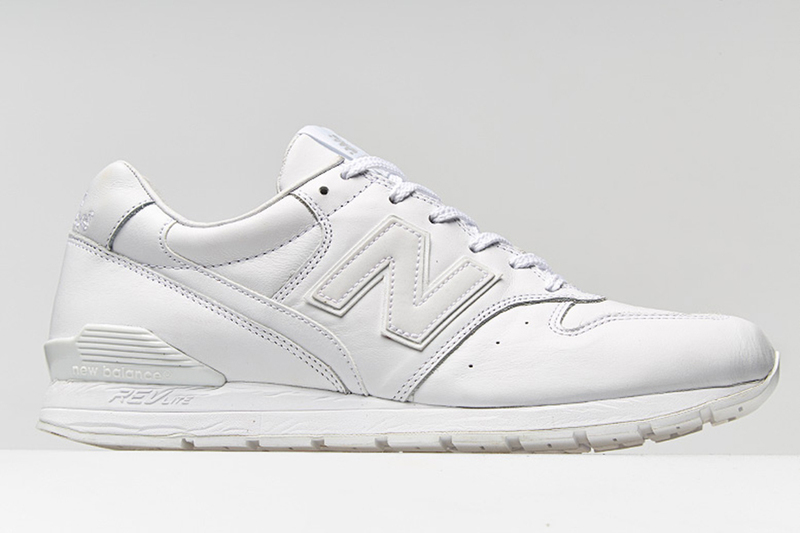 Cop the all-whites at select New Balance retailers in July. 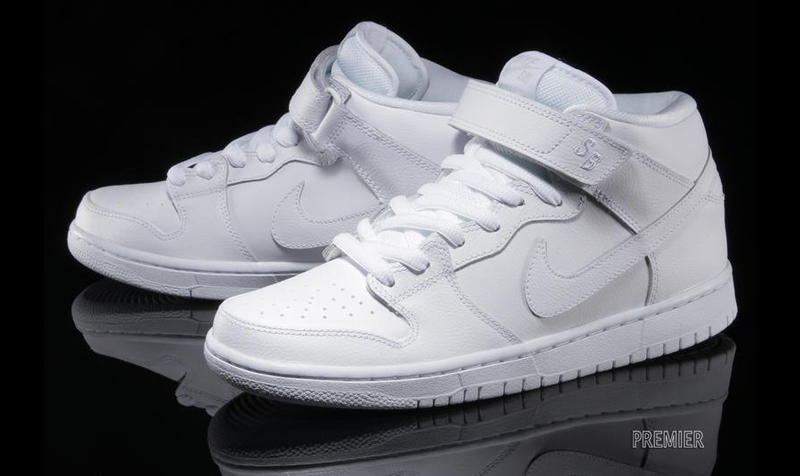 The closest that Nike SB came to an all-white Dunk was last year’s patent leather/icy outsole pair. 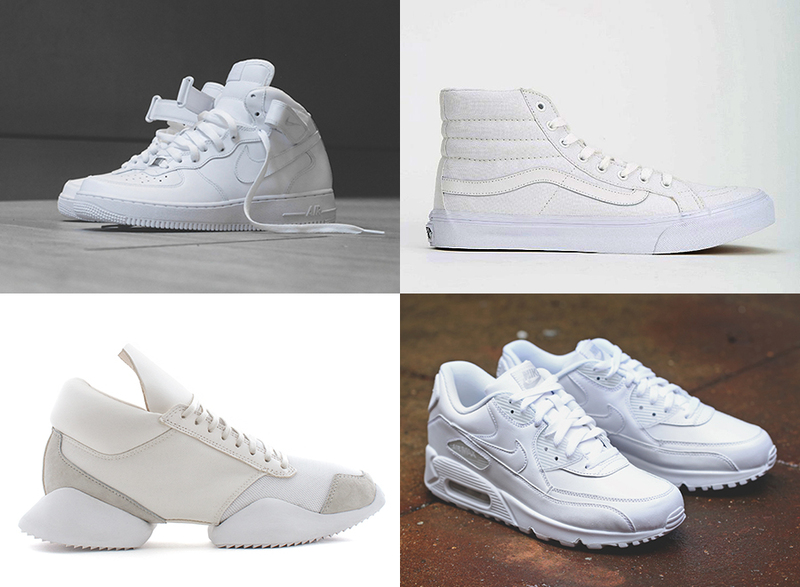 This new Mid goes full-white without any compromise.